Marvel is bringing back Marvel Legends in a big way (Finally, I was thinking of shifting to Marvel Universe) and thanks to actionfigurepics.com we have them here (Do remember to visit them, it's a wonderful website and check out their facebook page here). Though I probably shouldn't hold my breath as the release dates are not mentioned in the presentation of Marvel in the recently concluded San Diego Comic Con. Presenting the G.I. Joe Pursuit of Cobra Cycle Armor or Vehicle-Integrated Sub-Compact Weapon System. When teaser pictures of the POC Cycle Armor first started leaking to the internet, I have to admit to being quite excited. My nostalgia was rooted in afternoons as a child spent watching Macross (Robotech) and the really, really cool Cyclone Armor System (Image lifted from onesixthwarriors.com) . 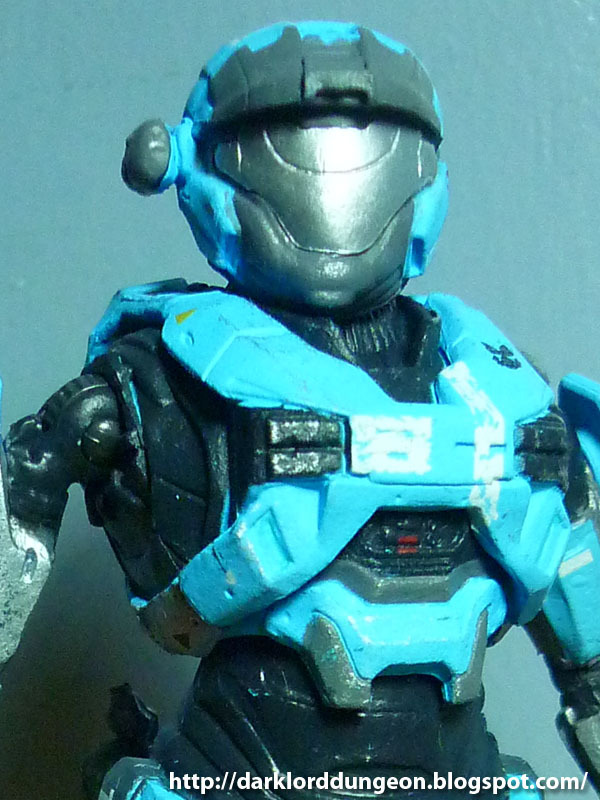 The two looked quite similar - hooved feet, wheels behind the shoulder blades, fore-arm mounted weapon systems, the POC Cycle armor even seemed to have a similar helmet/visor system that the RDF troopers had. So G.I. Joe meets Robotech?!!! Winner! Without a doubt, it was a definite must have. Sadly I was to be disappointed. Dash Bonagua of Transformers Philippines recently tagged the Dungeon on Facebook on an artist rendition of the Transformers Reveal the Shield G2 Optimus Prime with a trailer upgrade. 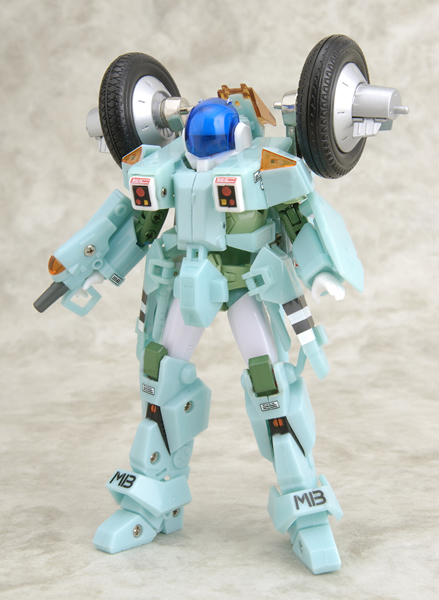 The artist rendition was from Maketoys, a Japanese toy firm (Their website is in Japanese). I looked it up and found out that Maketoys actually has some actual renditions of the soon to be released Trailer upgrade. 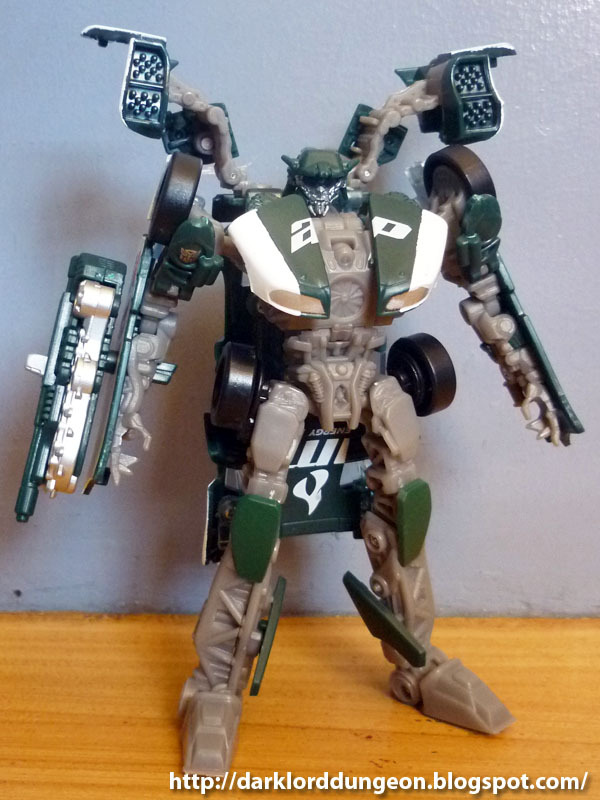 Rude marketing gimmicks aside, DOTM Whirl is actually a member of the Wreckers - the elite Autobot Commando squad out to end the Cybertronian War through any means necessary - which puts him on the same team as Topspin and Roadbuster. 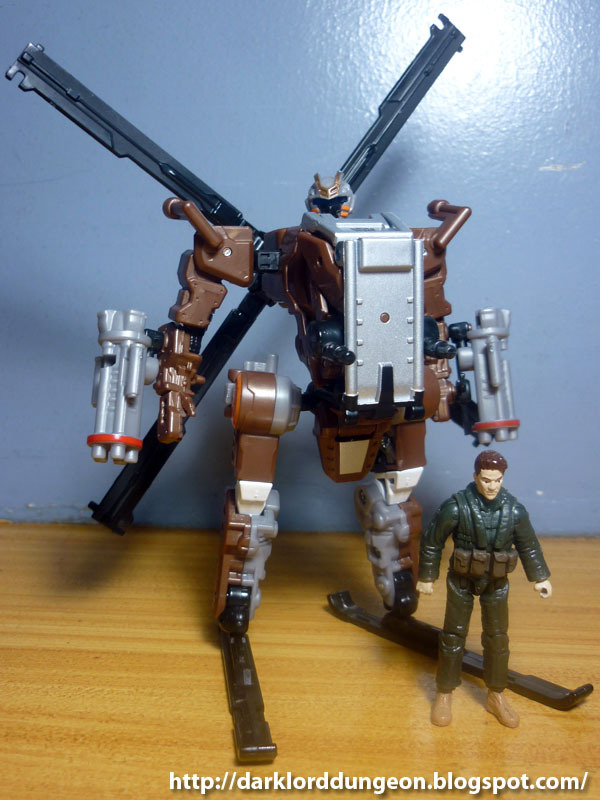 Whirl was actually also released in the ROTF line as a re-paint/model of Evac who was a re-paint./model of the Decepticon Blackout, but the DOTM Whirl - with skis for feet - is closer to how Whirl was first envisioned in Generation 1 of the Transformers. In the IDW Generation 1 continuity of the Wreckers, DOTM Whirl is actually cited by Megatron as the "One to taught him how to hate and use violence instead of peaceful means." Apparently when Megatron was just a petty criminal and Whirl was a cop, DOTM Whirl beat the crap out of Megatron in an interrogation gone bad. Presenting Jedi Master Shaak Ti as she appears in the video-game STAR WARS Force Unleashed. 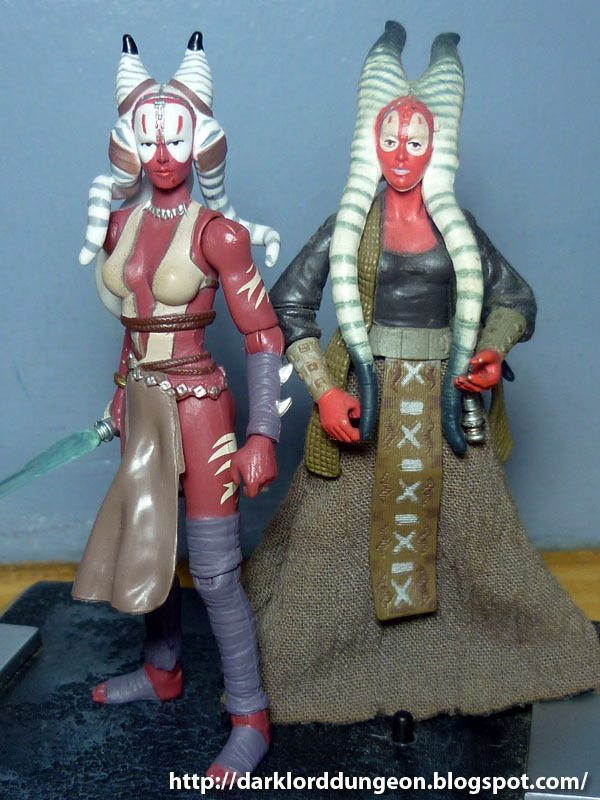 A month ago we wrote about how it would be cool to join the Sith because they had really hot babes like Darth Talon. Jedi Master Shaak ti is one of the Jedi's answer to that argument - and a convincing one at that. 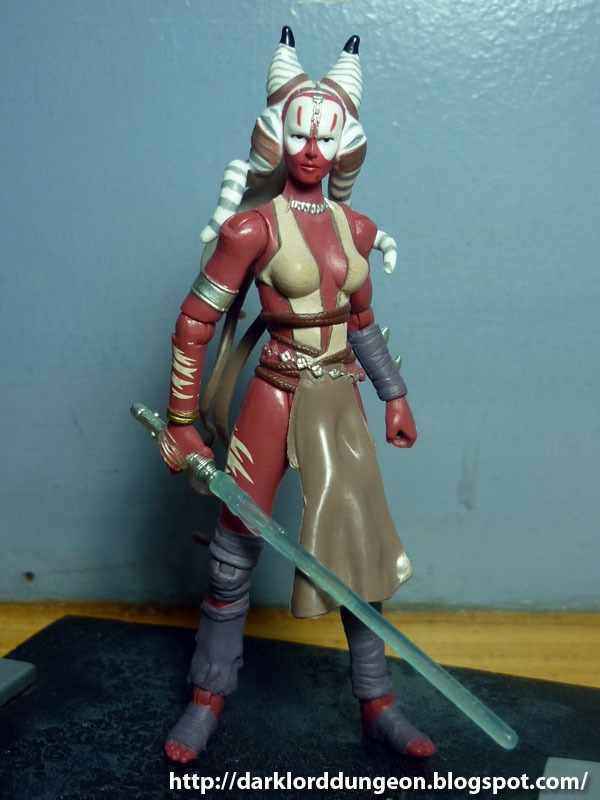 Jedi Master Shaak Ti is a Togruta from the planet Shili and was a member of the Jedi Council till the Council's fall upon Operation Knightfall (Order 666). Shaak Ti was one of the Jedi Temple's defenders when Darth Vader and the 501st Legion came to destroy all the temple's occupants. An accomplished light-saber master, Shaak Ti led the defenders of the Jedi Temple and even held her own against Darth Vader. But she quickly realized that she could not stop the fall of the temple and disoriented Darth Vader enough to break away from the combat to organize an evacuation of as many knights, padawans and initiates as she could before being forced to fee herself. 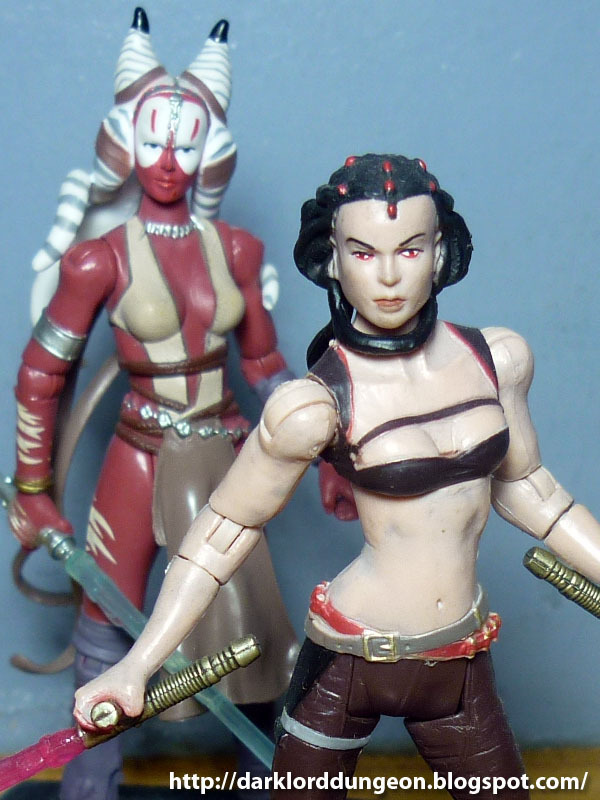 Jedi Master Shaak Ti finds refuge in the jungles of Felucia, loses most of her clothing - not that we're complaining - takes on a just as scantily clad semi-psycho apprentice named Maris Brood; and eventually meets her demise battling Darth Vader's secret apprentice Starkiller - but nor before prophesizing Starkiller's betrayal by his Sith Masters. Shaak Ti's death plunged the Force sensitive world of Felucia and its residents into a dark-side driven frenzy. 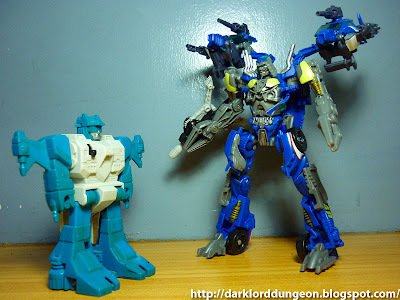 A month ago, I did a review on Transformers Dark of the Moon's Topspin. 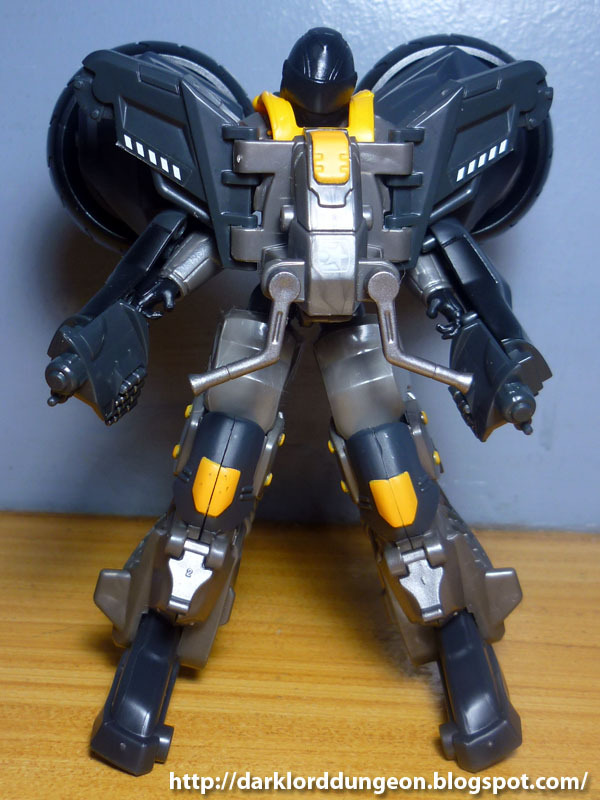 A few days later I was at the 10th Philippine Toy Con where I found a G1 Topspin that had seen better days for a bargain price. And I thought that it would be great if the two met. It's actually interesting to see how far technology has come in terms of toy production. 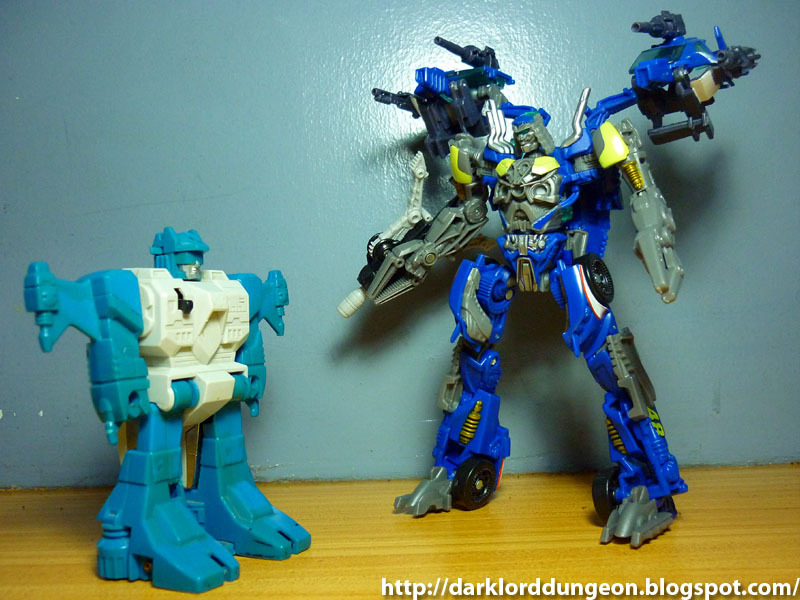 G1 Topspin was born in 1985, DOTM Topspin was born this year. In 26 years Topspin has gone from a spring-loaded Kickstarter to a spring loaded mechtech accessorized complex piece of plastic that takes almost forever to transform. Presenting The Ultimate Optimus Prime from the Transformers Dark of the Moon franchise. I know what you're thinking! "My God! His head is so small!!!" That may be true, but I say "Look at the size of his feet!" and I'm sure you're all green with envy. Bad jokes aside, Hasbro makes three very bold claims with the Ultimate Optimus Prime . There's the name of course "Ultimate", then there's the big violator on the package that says "Biggest Optimus Prime Toy" (THEY'RE NOT TOYS!!! ), and there's the Level 3 transformation classification involving the Ultimate Optimus Prime and its three modes - Power Up Mode, Robot Mode and Trailer Mode. 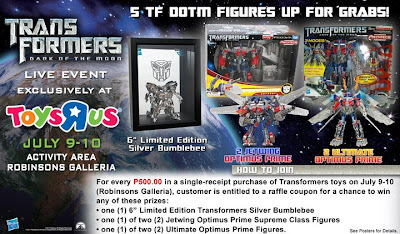 I purchased this particular Ultimate Optimus Prime duting a Transformers DOTM toy launch courtesy of Toys R'Us at Robinson's Galleria for PhP 5,999.75 (US$ 136.37, surprisingly cheaper on Amazon where it's only US$ 89.99 plus shipping). I'm sure you've already seen the film, then you know that despite the hype with Michael Bay holding this particular figure, Ultimate Optimus Prime never appeared in the movie. Ultimate Optimus Prime 's trailer did appear and I was actually hoping that it would be as detailed as the trailer in the movie - i.e. LED running blue running lights - but sadly no such luck. Presenting Transformers Dark of the Moon: Laserbeak. 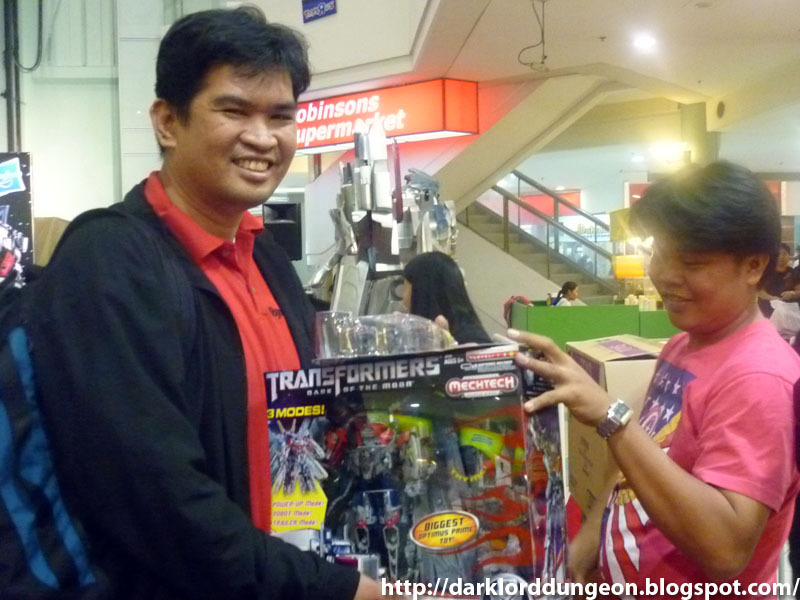 I purchased Laserbeak at the recently concluded Hasbro/Toys R' Us two day DOTM Toy launch at Robinson's Galleria. So I was able to get him at the retail price of PhP 699.75 (Roughly US$ 15, US$ 18.99 to US$ 21.45 on Amazon) - the price of a regular DOTM figure. 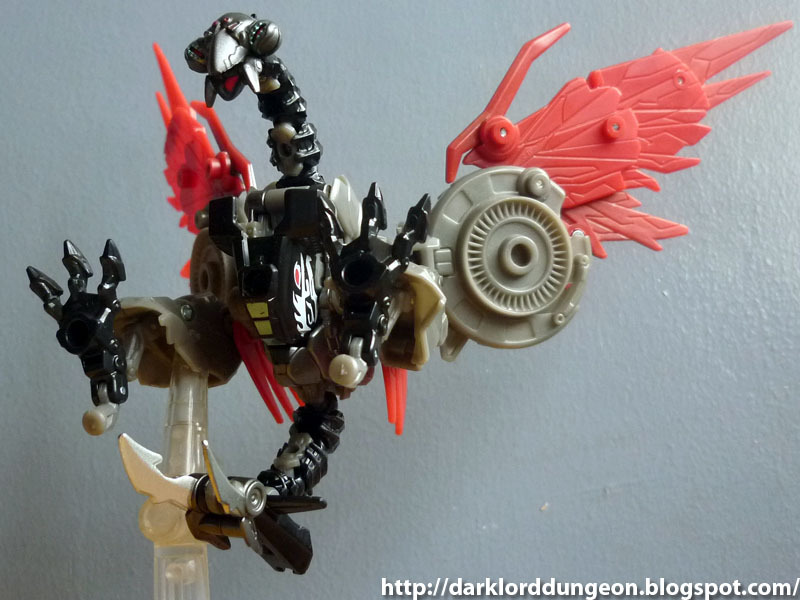 I have to admit I was quite impressed with Laserbeak's versatility in the movie. I'm quite sure he'll be quite an opponent in the video-game. Though I'm sadly disappointed at how whimpy the writers of DOTM wrote him when it came to something as simple as killing or capturing Sam Witwicky - who, by the way, I feel ruined the movie (It was like watching Lord of the Rings and wanting to forward all the parts with the Hobbit love scenes). Here's me at the Toys R'Us/Hasbro DOTM Toy Launch at Robinsons Galleria yesterday evening. When I first saw it on the internet, I swore that I would not purchase the Ultimate Optimus Prime because it looked like a "Paru-parong Bukid" (Provincial Butterfly - an old Filipino folksong that negatively compares a provincial butterfly to the actions of an extremely vain woman), but I had received potentially life-changing negative news that day so I was really depressed. Presenting Roadbuster from Transformers Dark Side of the Moon. 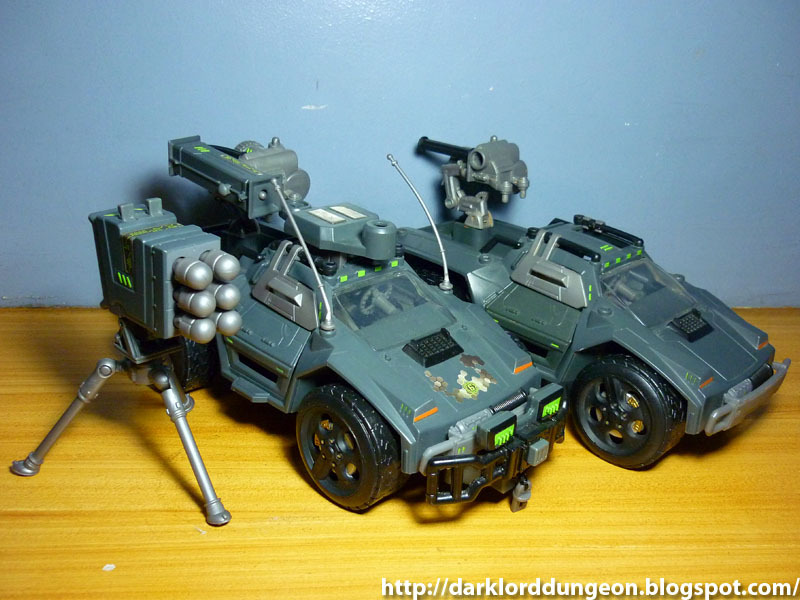 More commonly known as the "Common" released DOTM toy of the Wreckers. Personally I do not know what to make of the Transformers Dark Side of the Moon and their portrayal of the cult-icon Wreckers. Rather than the frustrated Autobots who cleaned up after their pacifist companions, you instead had what appeared to be engineers strangely pumped up on steroids and who appear to have spent too much time playing video games that they've gone rude and battle crazy. They were also quite ineffective in the movie despite packing a hell of a lot of hardware - even if they were taking on Shockwave - who was damaged more by humans than the firepower of all three Wreckers combined. And strangely they all survived. Including DOTM Roadbuster. DOTM Roadbuster also has the most lines in the movie. 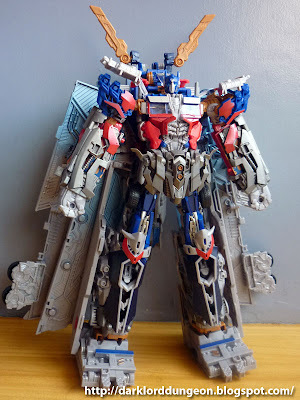 One of Two Ultimate Optimus Prime Figures. 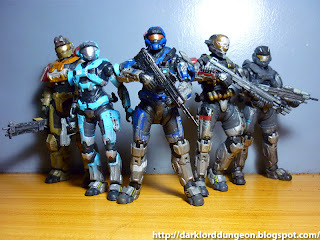 Presenting Noble Team from the UNSC Special Warefare Command Group Three. From left to right: Chief Warrant Officer Jorge-052 (Noble 5); Lieutenant Commander Catherine "Kat" B320 (Noble 2); Commander Carter-A259 (Noble 1); Warrant Officer Emile-A239 (Noble 4); and Lieutenant SPARTAN-B312 (Noble 6). It took me a while to realize just how "Bio-Man" this image is: You have a leader, a cocky shorter female, a heavy guy, a silent but deadly guy and a "Kid" (Noble 6). 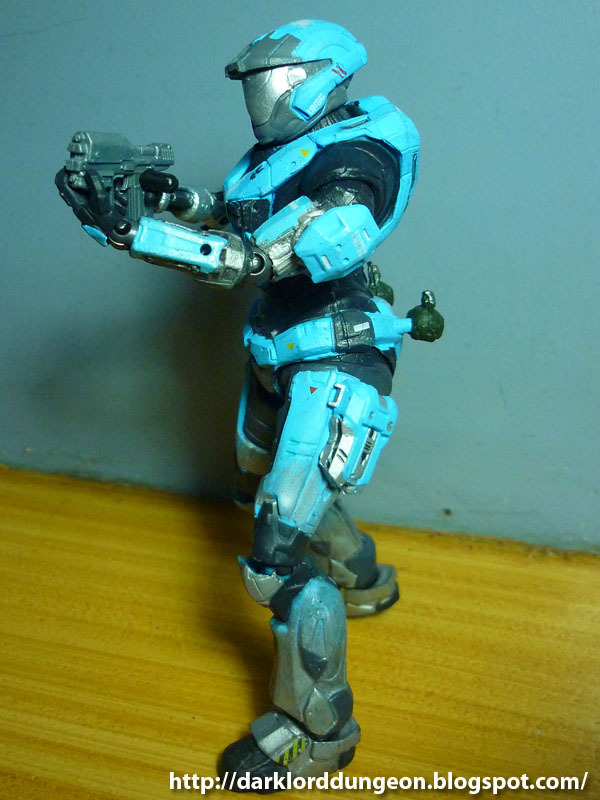 The only Spartan from Noble Team I have missing is the survivor, Warrant Officer Jun-A266 (Noble 3) who escorted Dr. Catherine Halsey to safety while the surviving members of Noble Team went to their deaths. The above arrangement is based upon a very popular promotional art released for the video game Halo Reach as seen here. What's so iconic about this image is that it also portrays Noble Team in the order of their deaths. Presenting from McFarlane Toys: Lieutenant Commander Catherine: Spartan B320 , more commonly known as Kat, call sign Noble 2 from the hit-X-Box video game, Halo: Reach. 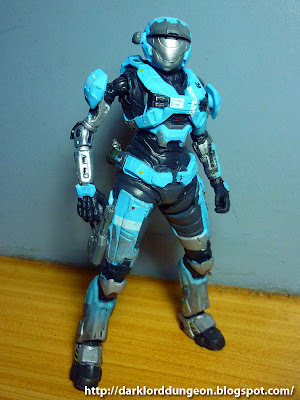 She is the first, to my knowledge, female SPARTAN character in the Halo series. 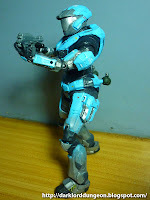 If you've played the game, then you know that Lieutenant Commander Kat was the tech-savvy second in command of UNSC Special Warfare Command Group Three AKA Noble Team, an elite-Spartan-Commando team that was a critical fighting force during the Fall of Reach. Kat Noble 2 lost her right arm in a mission that saw the death of Spartan Thom-293, the original Noble 6 - his death creates the gap that allows the entry of Spartan B312 whom you play in the video game. Kat Noble 2's prosthetic bionic right arm does not seem to impede her performance throughout the game. Unfortunately, Kat Noble 2 dies most ingloriously during Noble Teams retreat from New Alexandria as a Sangheili Field Marshal is able to penetrate her shields and armor in a single shot to her head with a needle rifle. If you've played the game, then you know that while a kill-shot to the head is possible with a Type-31 needle rifle, it is only possible on unshielded characters. Kat Noble 2's shields should have prevented her death. Supposedly Kat Noble 2 had failed to activate what should have been an automatic feature of her MJOLNIR armor. Halo: Reach's only "NO FREAKIN WAY!" moment. Dumb story writing at its best. 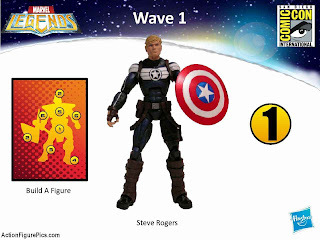 Presenting one of my prize spoils on the recently concluded 10th ToyCon here in Manila. We first featured the Night Ops Vamp as an incomplete item last month. And I have to say that it was a great find as it was - despite the fact that it was incomplete. So when I found a complete Night Ops Vamp at the 10th ToyCon, I just had to have it - and it was only PhP150 more than the incomplete one: PhP 600 or US$13.63 (Versus US$ 45 plus shipping on Amazon). I actually felt a bit cheated when I got home because the Night Ops Vamp wasn't complete - let that be a lesson for those of you who browse at garage sale type set-ups; if they say it's complete, CHECK (Even if you're being pushed, banged into and surrounded by sharks who are just waiting for you to put what you're holding down so that they can buy it for themselves). Happily though, when I returned the next day, the missing missile launcher was there and they gave it to me with no questions asked. The nice part about this is that we get to check out what else makes the Night Ops Vamp great.